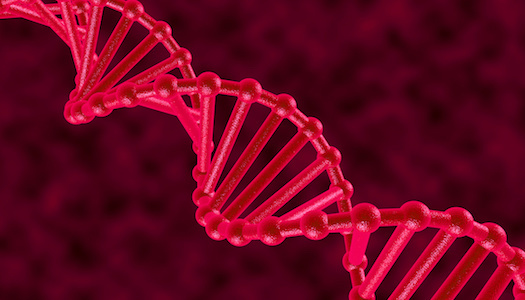 A new assessment of the world’s largest twin registry found that autoimmune diseases commonly cluster in patients, and are frequently influenced by genetics. A team of Sweden-based investigators—led by Jakob Skov, MD, a PhD candidate at the Karolinska Institute in Stockholm—looked into rates of 7 autoimmune diseases (AIDs) via the Swedish Twin Registry, a database which allowed them to assess 116,320 twins of known zygosity. Their results, presented at the Endocrine Society (ENDO) 2019 Annual Scientific Sessions in New Orleans, LA, evidence the notion that AIDs are genetically complex disorders—in an etiological overlap crossover trial which had not previously been explored in an unbiased fashion. “Familial aggregation of AIDs is common, and it is therefore not surprising that many genetic risk markers in autoimmunity are pleiotropic,” investigators wrote. With consideration to additive genetic and unique environmental effects, among the most heritable conditions was Addison’s disease (.97), while pernicious anemia (.47) was the lowest observed heritable condition. The rates of probandwise pseudo-concordance—a term defined by investigators as the proportion of co-twin subjects with different AIDs among twins with index AID—were greatest in monozygotic twins (MZ) with Addison’s disease (.71), and lowest in dizygotic twins (DZ) with Addison’s disease and vitiligo. Total probandwise concordance—defined as the proportion of co-twins with any of the observed AIDs among twins with index AID—was weighed against proandwise pseudo-concordance rates to find a ratio distinguishing autoimmune clustering. The ratio was greatest for Addison’s disease (MZ .54; DZ 1.0) and vitiligo (MZ .46; DZ 1.0), and lowest for Hashimoto’s thyroiditis (MZ .29; DZ .29) and Celiac disease (MZ .12; DZ .31). Investigators concluded that Addison’s disease, celiac disease, and T1D were all strong influenced by genes with heritability greater than 85%. Environmental factors were more likely to influence the prevalence of Hashimoto’s hypothyroidism, vitiligo, Grave’s disease, and atrophic gastritis. Within scope of the 7 observed AIDs, however, the defined probandwise concordance rates for individual diseases likely underestimated the burden of autoimmunity. “This effect is considerable for disorders with significant etiological overlap, such as Addison’s disease and vitiligo, but marginal in celiac disease, which has little etiological overlap,” investigators concluded. The study, “Heritability and Etiological Overlap in Seven Autoimmune Diseases: A Population-Based Swedish Twin Study,” was presented at ENDO 2019.